This is a square Wright’s Pen Fed Beef porcelain sign. This particular Wright’s Pen Fed Beef sign is very colorful. 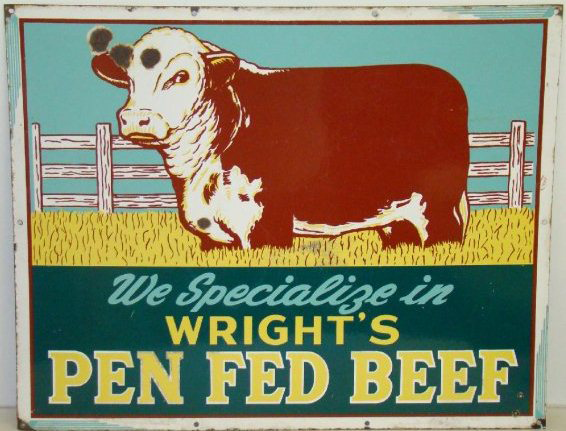 It reads, “We Specialize In Wright’s Pen Fed Beef” and features a brown cow in a yellow field with a white fence.